New data (fact sheet) from a Freedom of Information Act (FOIA) request indicates that there was a 646% increase in foreclosures last year against seniors with federally insured reverse mortgages as compared to the previous 7 years. In January 2017, the California Reinvestment Coalition and Jacksonville Area Legal Aid submitted a Freedom of Information Act (FOIA) request to the Department of Housing and Urban Development, seeking data about reverse mortgage foreclosures in HUD's Home Equity Conversion Mortgage (HECM) program, and about a new HUD program meant to keep widowed and widower non-borrowing spouses in their homes after the death of their spouse. The FOIA response includes state by state foreclosure numbers for Financial Freedom and the industry. "This new data adds to our concerns that HUD is asleep at the wheel when it comes to protecting vulnerable seniors from foreclosures that shouldn't happen," explains Kevin Stein, deputy director at the California Reinvestment Coalition. "Seniors are losing their homes at an alarming rate, and HUD appears to be doing little more than rubber-stamping foreclosure requests by servicers who should be making every reasonable effort to preserve senior homeownership whenever possible." Alys Cohen, staff attorney at the National Consumer Law Center adds: "The steep rise in reverse mortgage foreclosures reflected in this data is extremely concerning. From our experience working with advocates around the country, we know that seniors struggling to pay property taxes and homeowners insurance represent a significant chunk of reverse mortgage foreclosures. HUD's initial response suggests that the data on reasons for reverse mortgage foreclosure are not being collected or analyzed adequately. Older borrowers need the opportunity catch up on these property charges through reasonable loss mitigation options, which will only happen if HUD changes its policies to require that lenders make those options available." "The dramatic increase in reverse mortgage foreclosures is alarming, both in New York state and nationwide. 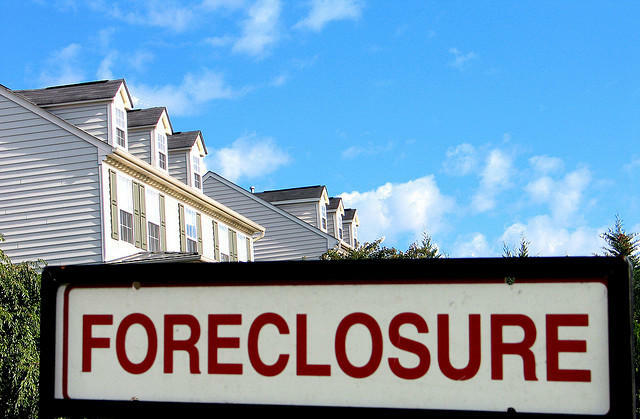 Reverse mortgage foreclosures are especially devastating because they put some of our most vulnerable homeowners at risk of homelessness over what is often a relatively small amount of money. We hope this new data analysis serves as a call to action for policymakers, regulators, and lenders to reverse this disturbing trend," said Christie Peale, Executive Director of the Center for NYC Neighborhoods. The new data from HUD show that in a mere 9 month time period (April 2016 to December 2016), there were 32,976 foreclosures on federally insured reverse mortgages. In comparison, HUD disclosed in an earlier FOIA response that from April 2009 until April 2016 (a seven-year period), there were 41,237 total reverse mortgage foreclosures in the HECM program. When the total number of foreclosures is computed as a monthly average, it shows the dramatic increase, from 491 per month from April 2009 to April 2016, to 3,664 foreclosures per month (3,173 more each month) from April 2016 to December 2016. What Does Your House Really Cost and Can You Afford It In Retirement?